Euro Truck Simulator 2 Google Maps Navigation Normal & Night Version Map Mods Addons updated to version 3.0! *Compatibility for 5.0.8 Eaa Map, 1.6 North Map, 7.1 Russian Open Spaces, 7.5.0 Southern Region and 1.33 YKS Team EU Turkey Map versions. *Added Fikcyjna Wielkopolska, New Republic of Aloma, RMP Heilbronn, SibirMap and UK & Republic Of Ireland Map mods addons. Map mods: EAA Map, Fikcyjna Wielkopolska, Hungary Map, Mario Map, New Republic of Aloma, North Map, PJ Indo Map, Project Japan, RMP Heilbronn, RusMap, Russian Open Spaces, SibirMap, Southern Region Map, The Great Steppe, Truck Sim Map, UK & Republic Of Ireland Map and YKS Team EU Turkey Map. Important Reminders: These are just addons. They do not work without the original versions of the Google Maps Navigation & Google Maps Navigation Night Version mods. Compatible with EAA Map 5.0.8 version. These addons allows to use Google Maps Navigation & Google Maps Navigation Night Version with the Fikcyjna Wielkopolska map mod. Compatible with Fikcyjna Wielkopolska Map 0.8 version. These addons allows to use Google Maps Navigation & Google Maps Navigation Night Version with the New Republic of Aloma map mod. Compatible with North Map 1.6 version. These addons allows to use Google Maps Navigation & Google Maps Navigation Night Version with the RMP Heilbronn map mod.  Compatible with RMP Heilbronn 1.0.6 version. Compatible with Russian Open Spaces 7.1 version. 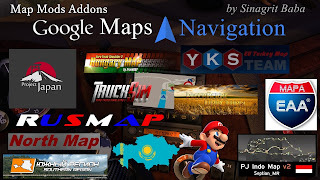 These addons allows to use Google Maps Navigation & Google Maps Navigation Night Version with the SibirMap mod. Compatible with SibirMap 0.4.0 version. Compatible with Southern Region Map 7.5.0 version. These addons allows to use Google Maps Navigation & Google Maps Navigation Night Version with the UK & Republic Of Ireland Map mod. Compatible with UK & Republic Of Ireland Map 0.1 version. Compatible with YKS Team EU Turkey Map 1.33 version.